The play begins shortly after the funeral of Edith and Renata’s mother. Edith – severe, embattled, an unmarried – has sacrificed her life to nurse the bedridden old woman. Renata – glamorous and married several times – has spent her life doing what she pleases. When the contents of the will are made known, childhood rivalries recur in this amusing, astute and intelligent play. 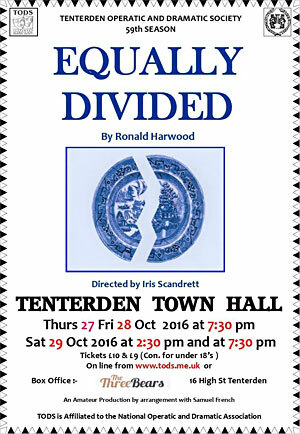 I am very privileged to be directing again for TODS and I hope you enjoy this very funny play with some poignant moments. NODA Review – coming soon! Image Gallery – coming soon!